Do you know your personality type? Do you realize how much your personality type impacts how you interact with people, events, and environmental stimuli? 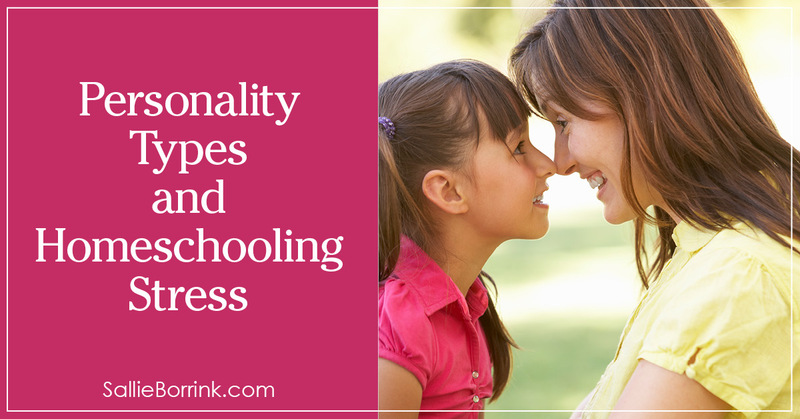 Have you considered how the personality types of the other people in your home impact your homeschooling experiences? 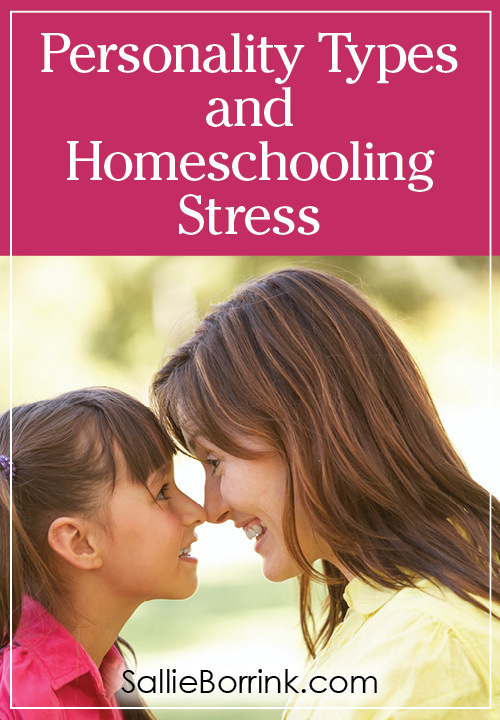 Did you ever think that conflicting personality types and homeschooling stress can go hand in hand? For my 31 Days of Learning Differently Series, Susan Williams wrote a guest post on How Understanding Personality Types Can Improve Your Parent-Child Relationship. If you haven’t read that post, please click over and read it or this post won’t make sense (unless you are already well acquainted with personality types such as those done by Myers-Briggs). I do want to say that as a Christian I do not believe we are bound to or captive to our personality types. I see them as helpful, general ways to understand how we instinctively function in the world around us. Certainly any parts of our personality type that cause us frustration can be areas for spiritual growth. But thinking about this can be tremendously helpful. So using the type explanations and examples Susan gave us, let’s imagine these two people in a homeschool situation. how often this mother and child would clash? how this child could drive this mother nuts? how this child could be viewed as extremely uncooperative by this kind of mother? the stress for both of them? The mom would be stressed because the child won’t settle down, focus, and stay on schedule. The child will be frustrated because the mom is constantly trying to push to stay on schedule and Get. Stuff. Done. while the child is too busy thinking about something new and keeping up a steady stream of questions and thoughts about whatever has captured his attention. Can you see how this one aspect of their relationship (personality type) can cause huge amounts of friction every. single. day? Now understand that these are just two of the sixteen possible personality types (ISTJ and ENFP). And most of the members of your family will have different personality types. Can you see how this can create some tremendous stress in a homeschooling situation? The truth of the matters is there is nothing wrong with either one of them. They simply approach life and learning differently. They will have to find a way to make it work in such a way that they can both be happy. And the reality is that it is up to the mom to adapt to her child’s learning style and needs more than it is up to the child to adapt to what the mother wants while at the same time maintaining a mom-friendly homeschool approach. It is definitely a balancing act. If you’ve never figured out your own personality type, I highly recommend taking the time to do so. It will help you understand the way you approach life, home, work, homeschooling, your children, your spouse, etc. Even if you can’t clearly identify the personality type of each child in your home, you should be able to get a general idea of each one. If you don’t have a lot of time, simply go through the options in Susan’s post and see which way you and your children lean. If you want to know more, there are numerous short tests you can take online that will give you an idea of what you might be. If you are really committed to finding out, you can be professionally tested. Once you figure out your child’s personality type, you can begin to make adjustments to the way you structure your homeschooling with each one. You might discover better ways to structure their learning, how to change the types of lessons you give them (or don’t), and how you deliver their lessons. LOVE to see other MBTI lovers! We have two INTJs in our house (the boys) and us girls are E/ISFPs. Very interesting, lol! As an INTJ/ISTJ, I find it much more enjoyable to unschool and observe each child absorbing material in their own, individual style, and at their own pace, which includes many surprising quantum leaps in learning and understanding. When I see they are ready for a little push, then I will do a brief teaching session. They continually surprise me with how deeply they will engage with material of their own choosing. My older children are J’s and enjoy working their way through workbooks, so that’s not something I need to push them to do. There’s a generational component to unschooling as well: like many of my generation, I became an autodidact out of necessity, and I see that as an essential skill for my children in the days to come.